I am out in Solomons, Maryland again, checking on the refit progress with Whispering Jesse, my 1980 Valiant 40. When I was here last October, the boat's hull had just been painted and the deck teak was being sanded. 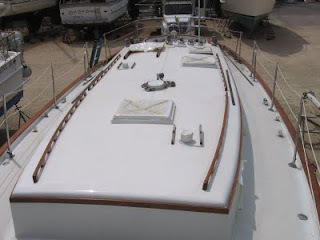 Since then, the teak has received some coats of Cetol and the cabin top has been painted and had anti-skid applied. The chocks that once held a hard dinghy in place on the foredeck have been removed and the teak handrails nicely reshaped where the chocks were joined to them. Aside from some additional deck and bottom painting, refinished hatches, and new stainless steel portlights, the exterior of the boat is almost starting to look finished. The inside is a different story entirely. This morning, I borrowed a multi-meter from my friend John Simonton, who is back at Spring Cove Marina after a trip south to Hampton last fall, to see if I could figure out why the stove will not light. I had not been down in the cabin much the last two days because it is like an oven in there, but I figured if I got an early start, before the temperature climbed into the high eighties, it might be more tolerable. Well, aside from the general chaos of boat parts spread all over the interior, the first thing I noticed was a light dusting of mildew on almost every wooden surface. The dorades, which normally vent the boat, have been taped over for several months, as have all the hatches and ports, so the rainwater that came through the mast hole, where the duct tape had disintegrated, and pooled in the bilge has caused a nice growth. I ran my finger along it and it came right off, but it will be a big job with an anti-mildew cleaner and Murphy's Oil Soap to get the wood looking good again. I moved some stuff out of the galley to get access to the propane switch and unscrewed its panel from the wall. I used John's multi-meter to verify that the fuse was good, but when I switched on the batteries and flipped the propane switch, the light next to it did not go on, so I suspect there is a deeper problem. Don the boatyard manager and I talked yesterday about what it is going to take to finish up the project, and electrical problems are definitely on the list. There really wasn't much else I wanted to do in the cabin knowing that within the next few weeks, the chaos down there will get much worse as Don and his team replace the Perkins diesel engine with a new remanufactured one. 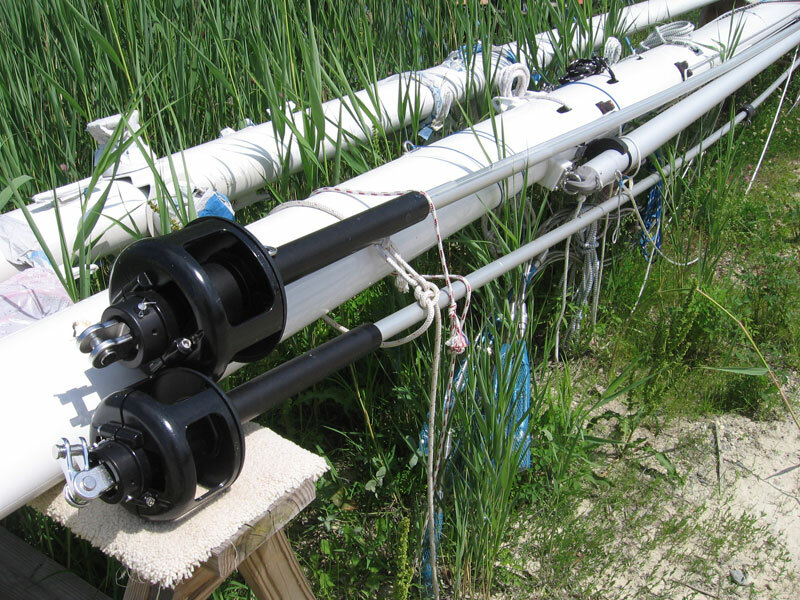 They are also going to replace the outdated radar pole with a new Scanstrut one that will attach to and run parallel to the backstay. Other projects, like replacing the manual windlass with an electric one, replacing the Webasto heater with a reverse cycle air conditioner, and installing a new chartplotter, are going to need to wait for additional time and money. On Friday evening, when I first arrived, I picked up my friend Kevin and his girlfriend Beth at the Holiday Inn and went to have a look at the boat. 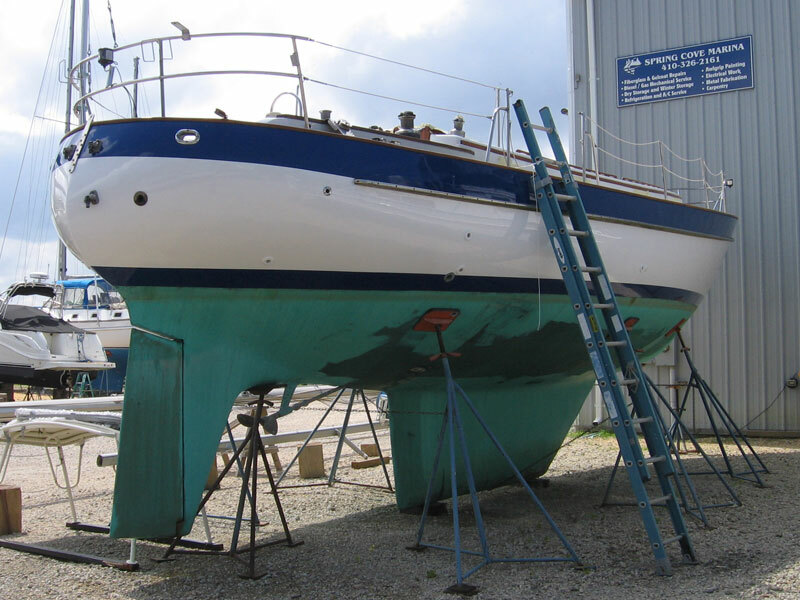 Kevin helped me sail it down from Baltimore last May, and he was impressed by how much better the boat looked now with its repaired blisters and fresh paint. We also took a look at the rerigged mast, with its new Harken furling gear and integrated Forespar whisker pole. Then it was off to The Dry Dock for dinner, where we discussed Kevin and Beth's travails with trying to purchase a used Dana 24 sailboat. They had sailed with the owner of one for sale earlier in the day and were not impressed enough to pursue a deal. As a gift, they gave me a copy of John Neal's Offshore Cruising Companion. Kevin made a Bay of Biscay passage with the Neals a few years ago and knew I would appreciate all the good information packed into John's book. Thank you, Kevin and Beth! I fly home tomorrow, but I will be back in late July with Nan, who will be getting her first look at the boat. Hopefully, the new engine and portlights and the refinished hatches will be in place by then and the chaos in the cabin under better control. After that, I am planning to return in September with a crew to sail the boat down to Savannah. There will be more about those plans later. In the meantime, there is still so much to get accomplished. A.J. Foyt had just won the Indianapolis 500, school had just let out for the summer, and my family was moving to a new home more than two hundred miles away from our old one. It was 1967 and the country was in turmoil. Bombs were falling in Viet Nam. Race riots were raging in major cities. And young people were pushing traditional boundaries. The sense that everything was changing all at once was palpable. Even I, a nine-year-old boy, could feel it. At that age, I was obsessed with building forts and forming clubs. My seven-year-old sister Jane and I thoroughly explored every inch of our new house, inside and out, looking for a place to locate a fort. What we finally settled on was the giant tree that grew behind our garage. Its trunk, almost five feet in diameter at its base, grew at an angle that allowed it to be climbed without nailing in planks for rungs. At the level of the garage roof's peak, the trunk split into three huge branches. The left branch extended horizontally for many feet before there were any smaller branches. It was only possible to reach those branches by either scooting along on the seat of one's pants or by walking across like a tightrope walker. A fall from that height would have meant a broken leg or worse. Because of the danger, we didn't venture out on that branch very often. The middle branch was the main trunk's extension but without the climbable angle. Its verticality and lack of branches made it too difficult and dangerous to climb. The right branch was where we established our fort. Like the left one, it extended horizontally a long ways, but it had numerous branches that served as handholds, making it a safer climb. Far out over our backyard neighbor's yard, more than thirty feet off the ground, the branch forked in such a way as to make a perfect bench, complete with foot and back rests. There was no need to build any kind of tree house; the tree was perfect as it was. I simply used my Cub Scout pocketknife to trim some of the smaller branches to make the bench more comfortable, and we had our fort. Next came the club. We were crazy about zoo animals, especially the big cats, so we called ourselves the Tiger Club. I wrote the word “Tigers” on an old piece of white bed sheet in big striped letters using Magic Markers and tied it to a bamboo pole that a new house rug had come rolled around. I stuck our new flag in the open end of a corner railing post on our second-floor back balcony, where it could be seen from the street and announce our presence. The bamboo pole served double duty as a makeshift spear when I rubber-banded a sharpened tongue depressor to one end, though it was never taken seriously. A two-person club is not much fun, so Jane and I went off in search of new members. We found Eileen, who was Jane's age, just a few houses away. Eileen knew the people who had lived in our house before us, and she was very familiar with the giant tree behind our garage. The three of us climbed up to the tree fort's bench and spent some time picking off leaves and watching them slowly circle to the ground. Eileen knew the neighborhood well and pointed out everything that could be seen from high up in the tree: the neighbors' houses, the public library, the sandlot baseball diamond, and in the far distance, an old apple orchard. Eileen said we should go take a look at the apple orchard, so we climbed down from the tree, climbed over the chain-link fence that separated our yard from the library parking lot, and set out for it. What we found was not so much a thriving apple orchard as an old sloping lot with a few ancient, untended apple trees growing in it. There were apples growing on the trees and the ground was covered with them, but they were wormy and not good to eat. Eileen picked up a rotten one and threw it hard against a tree trunk. It splattered in a satisfyingly messy way. We walked over to a dug-up area near the bottom of the lot. It looked like someone had been digging foxholes in the sandy soil, maybe to use for playing army, but there was no one around. Within a few days, Eileen had shown us around the entire neighborhood. She introduced us to most of the other kids and warned us about a few of them, including her eight-year-old brother John, who was in a club of his own called the Hanscotter Detective Agency. The name was an amalgam of the three principal members' last names. They were fans of the FBI television show and everything related to law enforcement. Eric, their eleven-year-old leader, even had a signed letter from J. Edgar Hoover appointing him an honorary G-man. Together with his friend Joe, also eleven years old, Eric was the law of the land as far as the kids in the neighborhood were concerned. The Hanscotters had converted Eileen's brother John's wagon into a tank by building a wooden turret that sat on top of it, like in the John Wayne movie War Wagon, and they used it to patrol the neighborhood with their squirt guns. The Hanscotters did not appreciate the Tigers' sudden appearance and immediately considered us the enemy. We didn't realize how serious they were until they captured Eileen and me one afternoon, plucking us off our bikes and carrying us into Eric's backyard. They chained us to a tree using bicycle locks and left us there to suffer, but it didn't take long for us to escape. I took Eric's brother Chris's squirt rifle in revenge and hid it under my bed, but my mother found out and made me give it back. The Tigers thought this would be the end of our conflict, now that adults had gotten involved, but we were wrong. The next day, as we rode our bikes down the street past the Hanscotters and their war wagon, they reached into it, pulled out apples from the orchard and opened fire, throwing as hard as they could to try and knock us off our bikes. Apples flew everywhere, splattering in the street and exploding through our bent spokes. Nobody was badly hurt, but we were shaken and angry. We managed to get home and regrouped at the tree fort. If they were going to throw apples, then we would too, we declared. We trooped off to the orchard with paper bags to arm ourselves. The Hanscotters had gathered up all but the most rotten apples from the ground, leaving just the ones still in the trees for us to gather. Eileen climbed up a tree to shake down some apples to Jane and me. We had gathered up only a few when the Hanscotters returned to rearm. They accused us of stealing their apples and said they were going to make us pay. Joe, the biggest and meanest of them, picked up a fresh apple and threw it hard at Eileen, knocking her out of the tree. She fell more than eight feet but landed on a mat of rotten apples and soft ground, uninjured except for a red welt on her chest. The shock of seeing her fall stopped everything for a few seconds, but then the Hanscotters recovered and launched a barrage of fresh apples at the three of us. Leaving our bags of apples behind, we ran for safety as they laughed and called us names. The apple war continued through the summer, with minor skirmishes occurring every few days. The Tigers did eventually arm themselves, and the battles became less one-sided but more fierce. Instead of one side or the other running away, both sides stood their ground and threw apples as hard as they could at each other, until there were no more apples left to throw. Bruises and welts were common. Black eyes were not unknown. One hot August day, I was helping my mother with some weeding in the front garden. Joe walked past and said something disrespectful. Without thinking, I picked up an apple and threw it at him, striking a glancing blow off his shoulder. He looked back with murder in his eyes and ran to get the apple I had thrown. He turned and threw it at me with all his might, but he missed me. In the midst of the commotion, my mother had stood up from her weeding and turned just in time to get hit square in the stomach by the apple. It knocked the wind out of her. She doubled over, gasping for breath. I started crying. Joe started crying. He yelled, "I'm sorry! I'm sorry!" And he turned and ran for home. No more apples were thrown that summer, but the differences between the Tiger Club and the Hanscotter Detective Agency were never resolved. The feud continued, but in a non-violent fashion, until my family moved to a new neighborhood two years later. 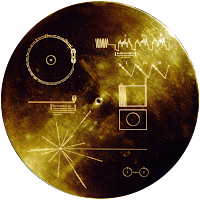 In that time, Martin Luther King, Jr. and Robert F. Kennedy were assassinated, Richard M. Nixon was elected president, and man walked on the moon. The apple orchard was paved over to expand the library parking lot, and the giant tree behind our old garage was cut down after a kid fell out of it and broke his leg. 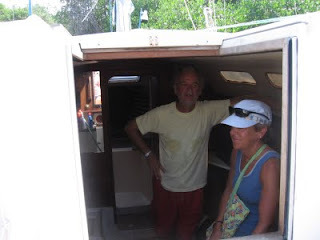 While we were in Isla Mujeres, Teresa and Louis, the wonderful couple who own and manage the Color de Verano apartments where we always stay, mentioned that Louis had just bought a fixer-upper sailboat. It had been moldering for more than five years at Oscar's Marina, just a few doors down from where they live on Laguna Macax. 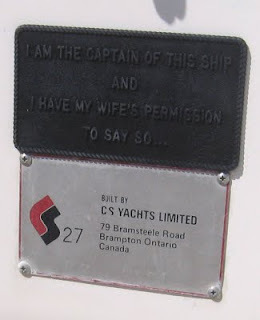 According to Oscar, the owners had sailed the boat, a 1979 CS 27, from Ontario, Canada, where it was originally built, through the St. Lawrence Seaway, down the eastern seaboard, and across the Gulf of Mexico to Isla Mujeres--quite the adventure in a 27-foot boat! They left the boat behind when they returned to Canada and eventually stopped paying the dockage fees. Oscar claimed ownership and sold the boat to Louis at a very good price. 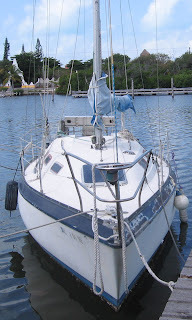 The boat was not exactly sail-ready, but Louis needed only to motor about a hundred yards farther into the lagoon to tie it up at his own pier and begin what will be an elaborate refitting project. But Louis, an expatriate from France, is an artist and a master craftsman, with the skills to turn the little sailboat into a work of art. He designed and built both of the art deco Color de Verano buildings, the one next to Jax Bar and Grill downtown and the one where he and Teresa, who is originally from Mexico City, live on Laguna Macax, including all of the beautiful wooden furniture that each contains. At one time, he owned a furniture factory in Cancun, but he is mostly retired now, with plenty of time to put into the refit. Nan and I agreed to meet Louis at his home one morning during our recent stay to see the boat and discuss his plans for it. When he led us out back to his pier, we were surprised to see the boat in better shape than he had described. The worst thing about it was the three or four inches of marine growth on the hull. Louis said he planned to haul the boat out and address the hull situation later, but first he wanted to do all the work he could right at his own pier. We stepped aboard and started taking note of all the repair issues. The boat looked like it had been subjected to some heavy dock thrashing, as there was some fiberglass damage along the rails, a few of the life line stanchions were bent or missing, and the stern arch, which had once been the mount for the boat's solar panels, was mostly destroyed. None of this dampened Louis's enthusiasm. He fired up the diesel engine for us, and it hummed like it had been well maintained, not neglected for years. Then he led us down into the compact cabin to show us all the nifty design features built into the interior. He explained how he was going to spruce things up to make them as comfortable as possible so that Teresa would be willing to do overnight sailing trips to Cancun and other destinations with him. He was excited by the possibilities that the little CS 27 opened up for them, but he confided that his long-term dream is to get the boat into tip-top shape, sail it locally for a year or two, and then upgrade to a larger boat with a greater range. Louis, we wish you the best of luck with your refitting project! We can't wait to see the results the next time we visit your island paradise!